Growing and retaining your membership. Amplifying your reach. Activating the power of a one-of-a-kind community – Fonteva Membership is the leading association management software and the only true-cloud membership solution recommended by Salesforce. With a flexible point-and-click interface and the power of Salesforce – the world’s #1 CRM – behind it, Fonteva Membership offers all the features that member-based organisations require to develop and nurture constituent relationships, manage events, measure engagement, drive collaboration, and achieve their mission. 4 Roads have over 20 years experience in developing engagement solutions and are experts in implementing online communities and globally recognised as the most experienced partner of community software developer Telligent Systems. There are many ways we can help bring your audience closer. If you are implementing yourself, our strategic advice will set you on the road to long-term success. Implementation is our core offering. If you’d like us to implement a community solution on your behalf, we can take full responsibility for the project, or alternatively, we’re happy to augment an internal team, offering our experience to enrich your own capabilities as we implement in partnership. Do you need a digital solution that an off-the-shelf product just can’t provide? We’ve created everything from bespoke health platforms to autonomous production line systems. We also create bespoke products to integrate systems that run on disparate technologies. Whether it’s a global solution or a small WordPress site, we can catapult your brand to the next level. In fact, we’re even a Sitecore Certified Solution Partner for Implementation. We allow firms to build better customer relationships through an online community. We’re experts in strategy, implementation, and integration, as well as being the longest standing global partner of Telligent Community. Delivering the best digital experience to your audiences is everything. Whether that’s customers, prospects, members, partners or employees, businesses today must simplify, modernise and automate their engagement solutions to help drive deeper loyalty, enhance business performance, accelerate processes, and position them above the competition. 4 Roads helps membership organisations across the globe maximise relationships with their members. An online community is the ultimate engagement tool for your membership organisation as it provides tools to drive interactions and connections, knowledge sharing and engagement among members, anywhere, anytime and on any device. Don’t compromise on your membership engagement strategy – build strong active memberships that collaborate, share and grow together. Mentoring programs are a leading way for professional associations to verify that there are powerful benefits associated with their membership. Mentoring is a cost efficient and engaging tool that allows members to gain the knowledge they need whilst staying connected with valuable sources. The rapid demand in web technology and our growing expertise in the HR technology space have empowered us to develop the leading-edge mentoring software solution to complement our mentoring training and mentoring consulting services. Our online mentoring software can be easily configured to allow seamless integration into your organization’s overall learning management system, and can be branded to your organization for consistency with your existing systems and programmes. Interactive, user-friendly, and cutting-edge, our web-based mentoring software streamlines all your administrative tasks within a single system, enhances the experience of the mentors and mentees in your programme, and includes access to our state-of-the-art mentoring reporting tool. Higher Logic is an industry leader in cloud-based community platforms. Organizations worldwide use Higher Logic to bring people all together, by giving their community a home where they can interact, share ideas, answer questions and stay connected. Our goal is to help your organization with deeper engagement and meaningful interactions for your members. Everything we do – the tools and features in our software, our services, partnerships, best practices – drives our ultimate goal of making your organization successful. Guild, started by the co-founders of Econsultancy, Ashley Friedlein and Matthew O’Riordan, is “the WhatsApp for work”. Guild is a professional messaging app that is as easy to use as an everyday messaging app but built just for work. Guild is GDPR-compliant and advertising free. Guild was created in recognition both of the surge in mobile and messaging use professionally, and the timeless need for high-quality communication at work. Guild is built for any professional group, network or community whose members want to communicate, share, learn from each other, stay in touch, develop and nurture valuable professional relationships. Simply put it is a messaging platform, as familiar and easy to use as WhatsApp. Recent research shows almost 40% of UK/US professionals use WhatsApp for work but that 75% would prefer an alternative messaging service for a solely professional context. Guild provides this, as well as being GDPR-compliant, properly private, and ad free. Accelerating growth and positive change to succeed faster, grow stronger and achieve your mission. Community Brands empowers membership organisations, nonprofits and schools to succeed faster, grow stronger, and achieve their missions through our purpose-built technology and engagement platforms. We’re a collective ecosystem of purpose-driven companies bringing together the best technology and market expertise to accelerate innovation and fulfill the unmet needs of purpose-driven organisations, so they can thrive in today’s fast-paced, evolving world. Community Brands builds best-of-breed solutions aligned with ever-changing business models and emerging technology. Our solutions help member-based organisations drive growth, engagement, professional development, fundraising and revenue. We are committed to helping you fulfil your mission with modern technology that meets your members’ and constituents’ expectations. eConverse Media specialises in the strategy, design, development, launch and management of association websites and communities. 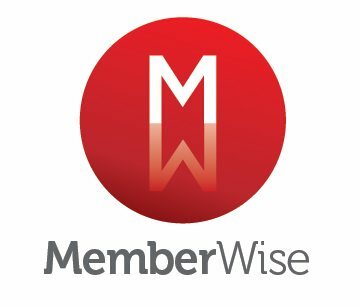 We help member-based organisations increase engagement and retention, deliver new benefits, and develop sources of non-subscriptions revenue – all with the clear vision of enabling members to connect, share and learn. eConverse primarily does design and development for associations using the Higher Logic platform for their online community or main website. Clubetter is a fully bilingual club membership portal which allows grassroots clubs, societies, community, professional and business groups to communicate and work efficiently. Simplify your membership for you and your members! The Clubetter app saves considerable time and effort for those smaller, grassroots clubs and groups that might have limited access to the most up to date technology, and whose communications and marketing resources are in short supply. It is helping clubs and organisations across a range of sectors, including local sports clubs, faith groups, voluntary organisations, professional services and arts/culture groups. We have created a membership platform that would truly make club organisation better, by being easy-to-use and intuitive for grass roots leaders. The app is designed to save time on admin duties like arranging club activities, events, keeping members updated and sending out news alerts. Clubetter also helps to increase revenues and keep membership payments as straightforward as possible by implementing a simple, in-app payment system.